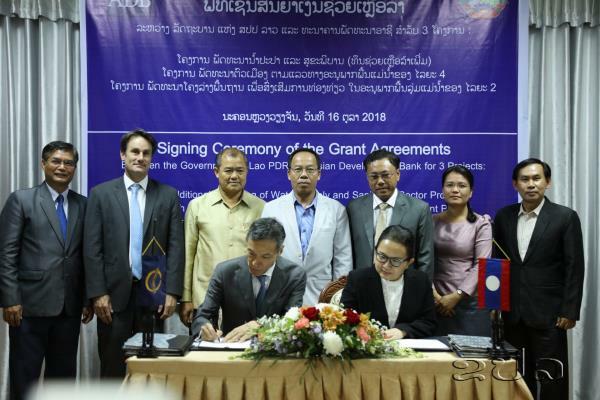 (KPL) The Asian Development Bank (ADB) and the government of the Lao PDR on Oct 16, 2018 signed grant agreements worth US$ 125.5 million in total for three projects in the tourism and urban sectors. The agreements were signed in Vientiane by Deputy Minister of Finance Thipphakone Chanthavongsa and ADB Country Director to Laos Yasushi Negishi. � “Vibrant, livable cities and towns play an important role in the development of industry and services, particularly manufacturing, agribusiness and tourism,” said Mr Negishi. “The three grants demonstrate ADB’s commitment to help the Lao PDR sustainably manage urbanization, tourism, tourism and attract investments that create good jobs in a wide range of economic sectors, helping the country to be eligible to graduate from the least developed country status by 2020”. 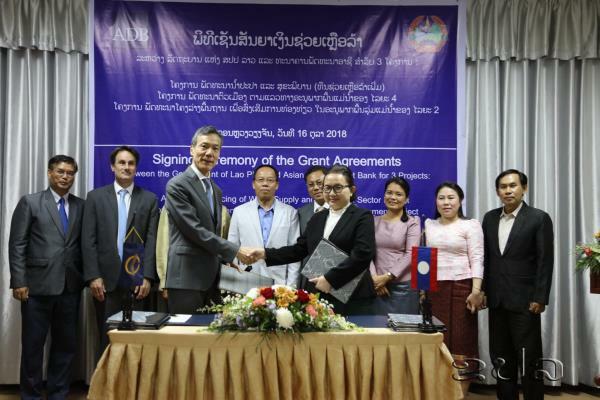 The US$ 47 million grant for the Second Greater Mekong Sub-region (GMS) Tourism Infrastructure for Inclusive Growth Project, approved by ADB’s Board of Directors in August 2018, will support MICT’s efforts to rehabilitate last mile access roads to tourism destinations, improve tourism-related urban environmental services, and enhance sustainable tourism management in Luang Prabang, Vientiane and Champassak Provinces. The project’s climate resilient transport and urban infrastructure investments and support for tourism capacity building are designed to boost tourism development and deepen the Lao PDR’s economic integration with its neighbours in the GMS and the Association of Southeast Asian Nations. The US$ 48-million grant for the Fourth GMS Corridor Towns Development Project approved in September 2018, will be implemented by MPWT to improve urban environmental services, including the construction of wastewater plants and sewerage networks, solid waste management and river embankments for flood protection in two corridor towns of Pakxan and Thakhek. The project will also support the preparation of town master plans with climate – resilience and gender-responsive measures for both areas to support growth and regional connectivity. The third grant, amounting to US$ 30.5 million, is an additional funding for an ongoing ADB-assisted Water Supply and Sanitation Sector Project being implemented by MPWT. The additional financing will expand access to safe and reliable water supply and sanitation services in six towns in Attapeu, Xekong, Huaphan and Luang Prabang Provinces, as well as improve operational and financial efficiency of provincial water utilities or provincial� Nam Papas� in these Provinces.